Booth Cleaning is a service we offer to maintain the best appearance for your exhibit space. 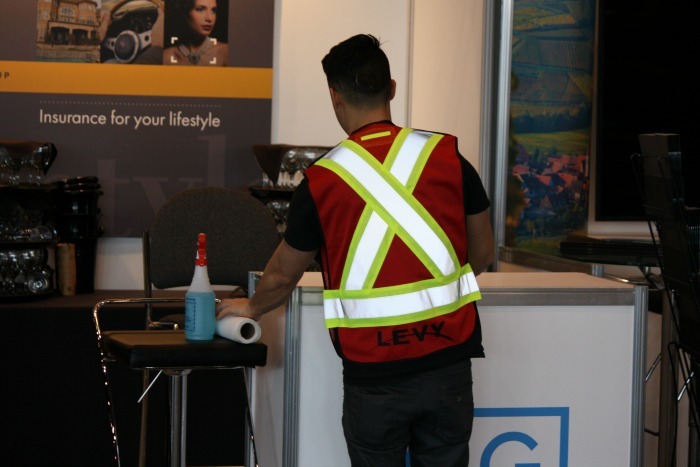 If you wish your exhibit space to be cleaned throughout your event we offer vacuuming, emptying of wastebaskets and general housekeeping. This is a great value for daily debris created during event hours.